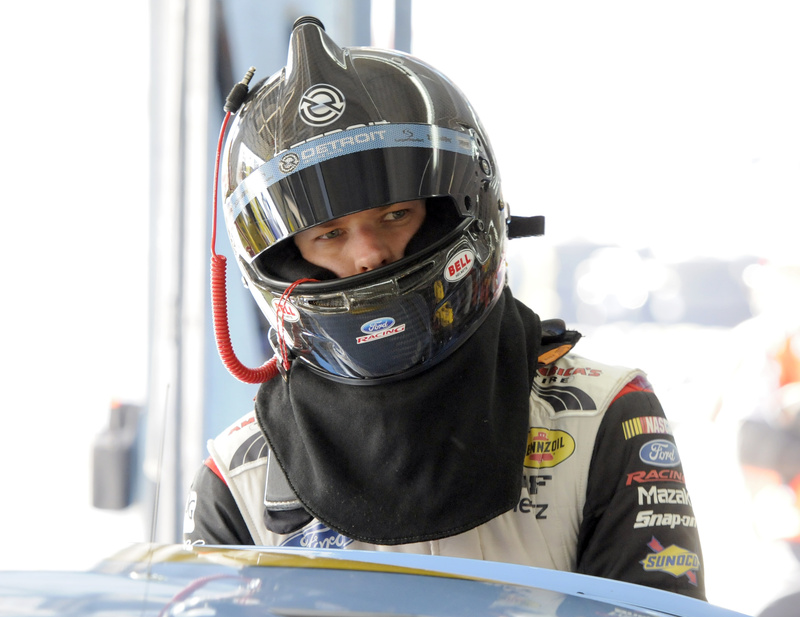 CHARLOTTE, N.C. – Brad Keselowski’s refusal to be pushed around on the race track has earned him a few comparisons to the late Dale Earnhardt. It’s a conversation Keselowski will not participate in out of deference to the Hall of Fame seven-time champion. Keselowski had a roller-coaster eight days last week after he tangled on and off the track at Charlotte with Denny Hamlin and Matt Kenseth. It earned him a $50,000 fine from NASCAR, and dropped him into a must-win situation Sunday at Talladega. He then pulled off a rally by winning at the Alabama track to avoid elimination in the Chase for the Sprint Cup championship. Keselowski goes this weekend to Martinsville Speedway seeking to strengthen his bid for a second Cup title in three years. Team owner Roger Penske surmised that it’s Keselowski’s success – the driver has a series-best six wins this season and five poles – that has caused jealousy among his peers. It’s that alleged animosity that flared at Charlotte, Penske believes, and he encouraged Keselowski to just move on. Kenseth, who jumped Keselowski from behind in the garage at Charlotte, insisted he’s not jealous of Keselowski. Hamlin, who tangled on the track after the race with Keselowski and had to be restrained from confronting him, also dismissed Penske’s theory.